Divorces span the gamut from the quick-and-easy to the drawn out. Each divorce is different; one may be very simple and another terribly complex. You can remain single for years after a divorce, or you may date and quickly find another spouse. Your family reactions to these decisions also exist on a spectrum; these reactions can impact your choices during and after. Often, divorcees forget to consider the long-term financial implications of these life choices. How does a divorce (or another marriage) impact your finances and estate plan? How will these choices impact your family and children when you are gone? Especially for women (who can sometimes be left out of the family finances), how do you empower yourself during a divorce and maintain that power during remarriage? The decision to get a divorce comes with varying degrees of complication and necessary paperwork. Once you decide to separate from a spouse, you face a veritable deluge of necessary (and often unpleasant) tasks, filings, legal proceedings and the like. any insurance policies that have your spouse as the beneficiary. This may be your first foray into personal financial management. Be sure to take an active part in joining the conversation and building a relationship with your advisor. Remarrying after a divorce can be a wonderful experience; full of love, joy and new beginnings. A new marriage also requires a financial update, just like the one you went through with your advisor during the divorce. 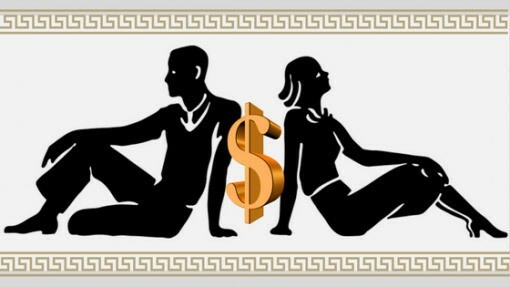 Sometimes people become hesitant to tie themselves financially to a spouse after their initial divorce. Others jump right back into a financial union. identifying to whom you wish to leave it to in your estate plan. **For those Advisors out there, it is important that we approach these situations delicately. We need to ensure our clients feel educated and empowered to tackle this financial transition with confidence and security. Divorce and remarriage are sensitive topics, and updating financial documents can cause strain within a family. Women need to be aware of these potential sensitivities. Often, this strain appears after the death of the head of the household, who either divorced or remarried. children feeling resentful toward a new spouse upon whom the husband bequeathed assets. The children may believe these assets to be a rightful part of their own inheritance. children being partially or fully disinherited in favor of siblings or the new spouse. The best way to mitigate financial strife in a family dealing with divorce and remarriage? Be as detailed and thorough as possible. To avoid causing post-mortem divides in your family, use the most precise language possible in your estate plan. Talk with your financial advisor about why you want to divide your assets this way. **Advisors, (1) be sure to ask the important questions, (2) get to the root reason why your client made these changes and (3) ensure the language in a trust reflects the client’s desired outcomes. There are many ways to ensure that surviving family members understand your reasons for divvying your assets. One of the most effective? Leave a personal letter or video. Therein, describe your reasons in your own words. Especially be cognizant in blended families, where dynamics evolve and shift rapidly. This strategy can bring peace of mind and closure to your loved ones. It is important to remember that a letter or video is not a formal or legal document. Rather, it is a way to personally validate and explain the choices you made in your trust. Just like any major life change, divorce and remarriage can be complicated and impact areas of your life unexpectedly. Don’t neglect your finances during this time. Schedule an annual review with your advisor. Tackle these issues head-on and make your life more manageable. Ensure your portfolio keeps up with your lifestyle. Family and financial matters can cause stress on their own. Mixing the two together is understandably overwhelming — especially during a time of personal transformation like divorce or remarriage. The reality is: divorce happens. Remarriage happens. Families blend. Parents eventually pass on and leave their surviving family members. Be prepared to tackle each stage of your life (with your financial advisor by your side). You can minimize family squabbles and ensure that you protect your assets and distribute them as you intend.